Call 1-800-458-7214 to report suspected elder mistreatment in the home and in long-term care facilities. Call 1-800-356-9596 to report suspected abuse in nursing home settings. To report suspected elder mistreatment you can also visit the County Office Contact Lookup to contact specific county offices directly. 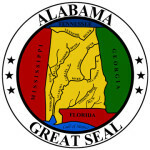 Alabama elder abuse statistics and/or other publications are Available Here.